The deck ideally likes to go second. You're running 7 Hand Traps (3 Maxx, 2 Ash, 2 Infinite) so the chances of you being able to interrupt your opponent's T1 plays are pretty high. You can go first, in which case your idea play is to make either Denglong or Winda and set some backrow. 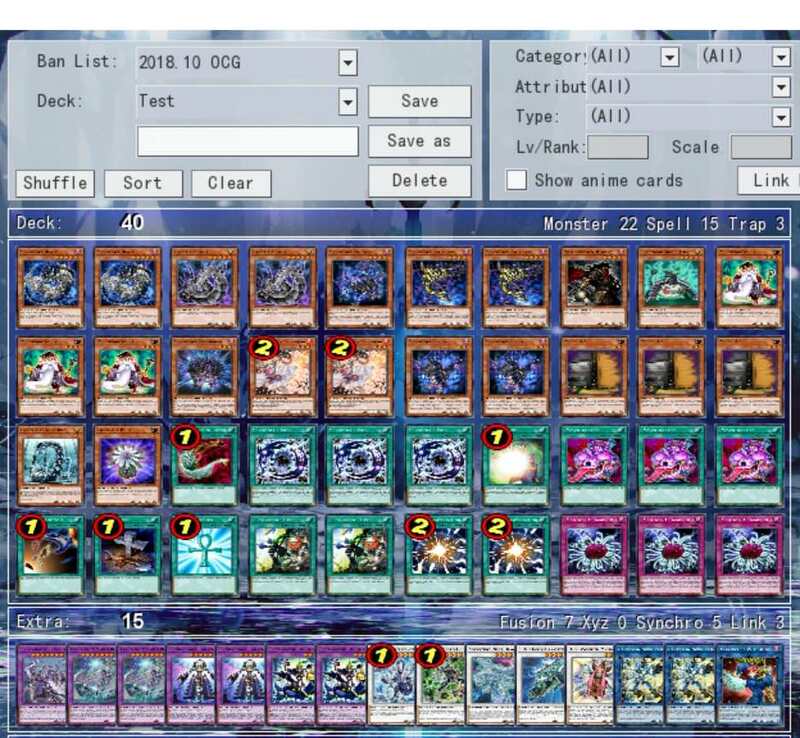 Dino triggers all the shaddoll effects. Draconet is a one card Denglong or Needlefiber. It can also tool out a light you need to summon Construct. It's also an decent allure Target. If you have beast, you can make Trish then needle fiber (Bulb). Galaxy serpent is a "garnet" except Draco works even if Galaxy is in the hand. And with Avarice at three, it's likely to be back in the deck fairly rapidly. Allure is the deck's consistence. You run a fairly robust Shaddoll line up and can afford to lose duplicates of certain dolls. Combined with Hedge this means you can almost always have a viable target to Allure away. It helps you dig into your power spells, your traps, and so on. Your two best Fusions and your entire synchro Toolbox is full of one of's. Avarice helps you make that not a problem. It is sometimes annoying to draw multiples early game, but getting 5 monsters in the grave is really easy with this deck. Transience is superior to veiler since it can be activated in any phase and the S/T negate second effect is fairly useful too. It also can't be Designated from the Grave. 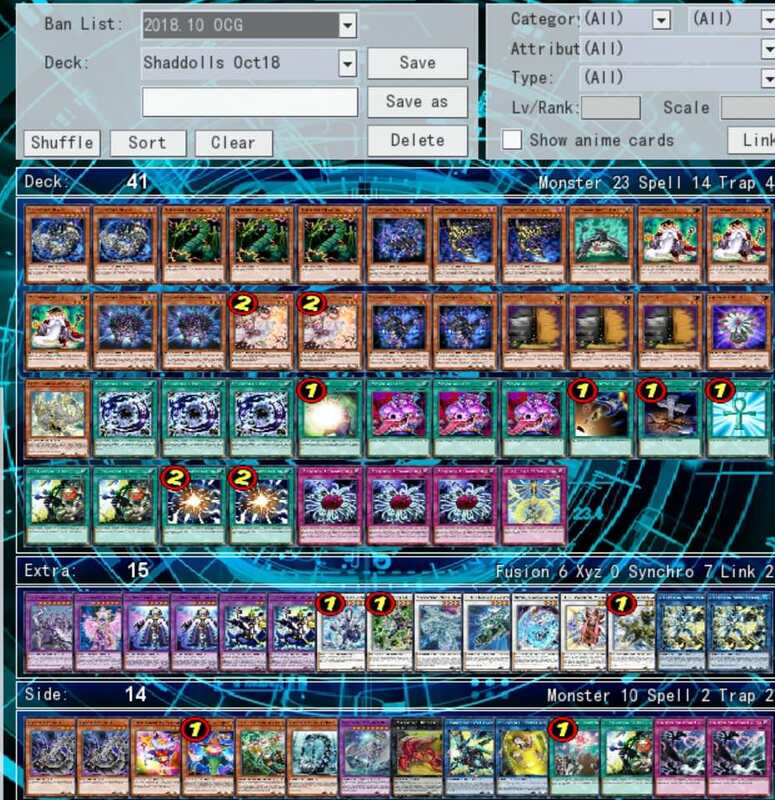 With construct at one, you don't need too many targets to summon it, especially when two of said targets are toolable from the deck. 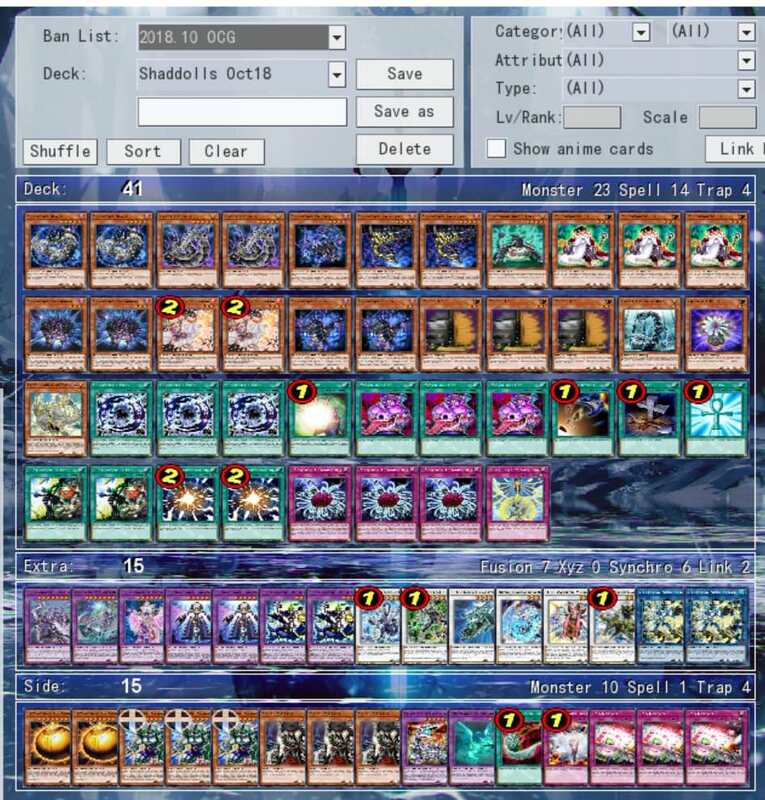 Dinomichus is all purpose removal that can trigger shaddolls. They also return from the grave as waters for Anon (the water Doll). 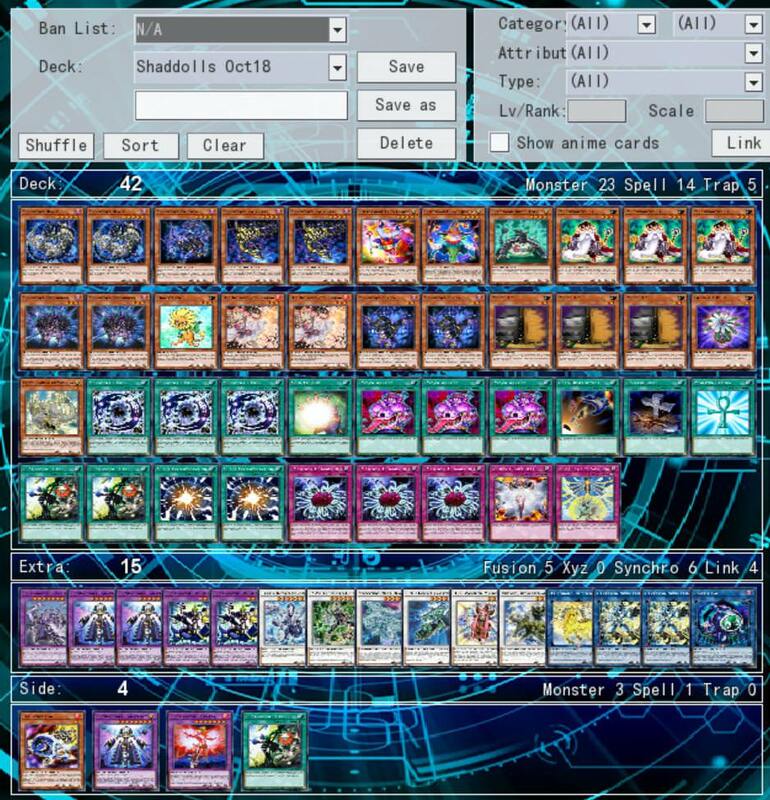 You can use them for Synchros, links, fusions, whichever. Shaddoll Line up should be pretty straightforward, a number of my ED monsters are water, as is needlefiber, so Anon is live fairly often. Mostly used for pushing for game, but its effect does see niche uses. 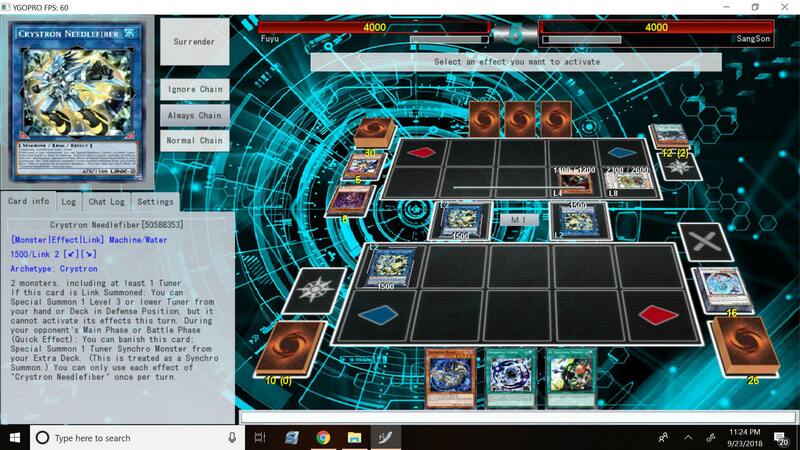 Grysta isn't as good this format as it was last format with Pendulum Magicians as the the best deck. Loss of the third Ash makes it a little harder to come by, but the Strikeblades can be damaged by it if they attempt to link through the Token or attempt cute Toon Cydra plays to clean the board out. Winda Construct are the best fusions. You want to recycle them often and not leave them in a place where they get banished. Though it isn't world end if they do get banished. Naga is good effect negation and you run plenty of Earths. Brionac is mass non-destruction removal. 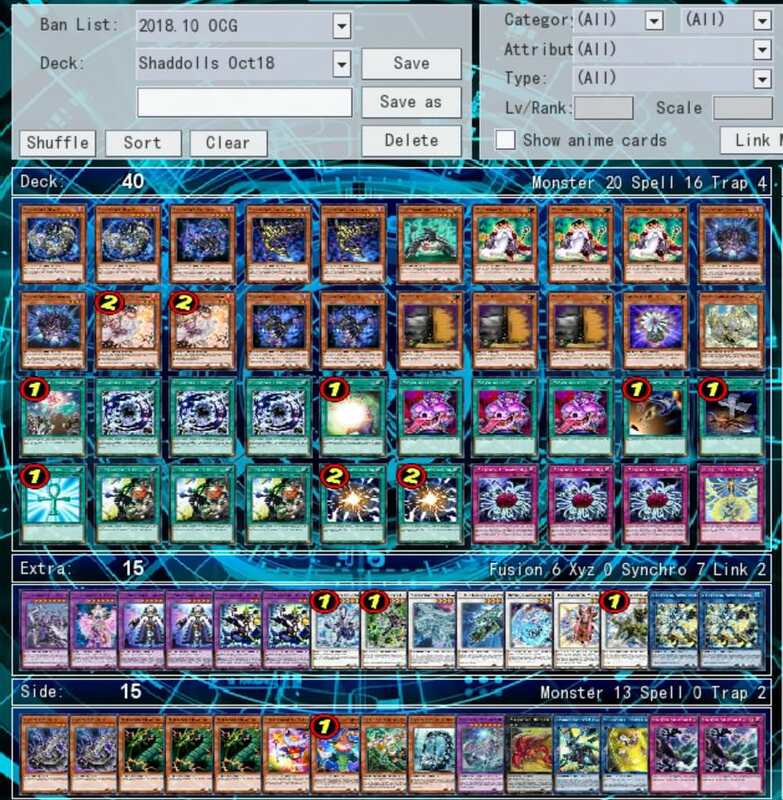 With Shaddoll fusions getting back the spells, you're in a fairly good spot to have enough discards to make a dent. 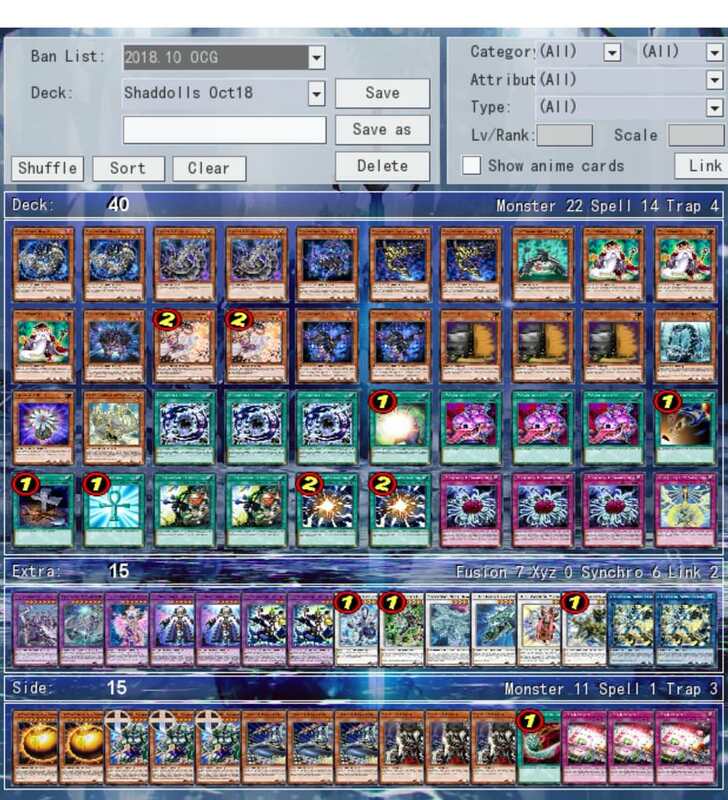 Moon Rose has actually dropped in utility recently, but it's one of the best lv 7 synchros for the deck and can't miss timing. Also being a light, you can push for game with Construct. If you summon it with T.G. it works much like a compulsory Evac. Soul Release, banish 5 spells from the opponents graveyard to devastate strike blade. Duster and Typhoon are for backrow heavy decks. 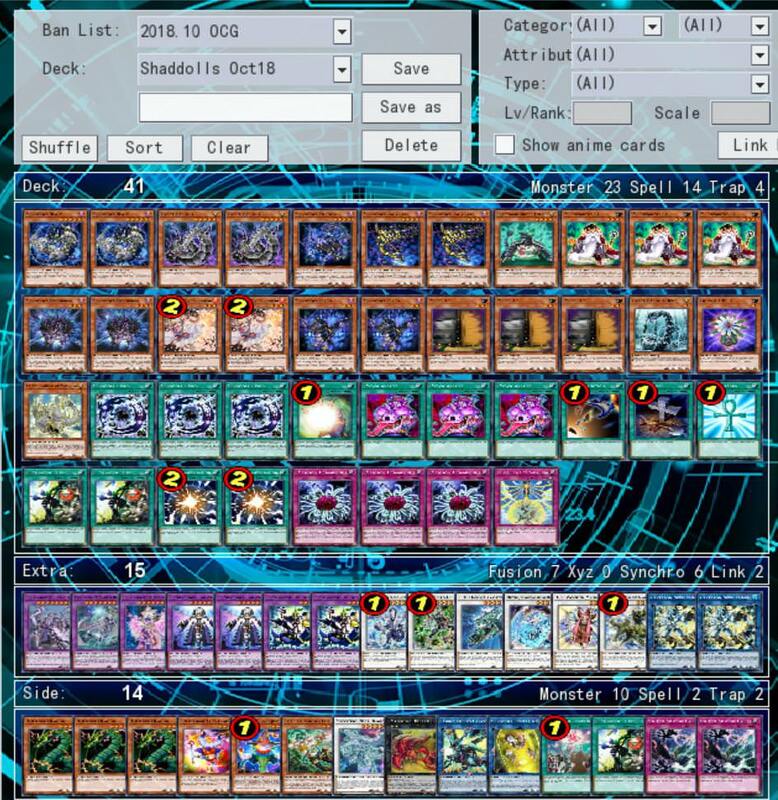 Pendulum Magician is taking a backseat at the moment and my deck is weaker to Altergeist, so I figured typhoon was superior to Cosmic cyclone. Anyway, that's my doll build. I've been wanting to do this for a while, and finally a format exists that merits it. 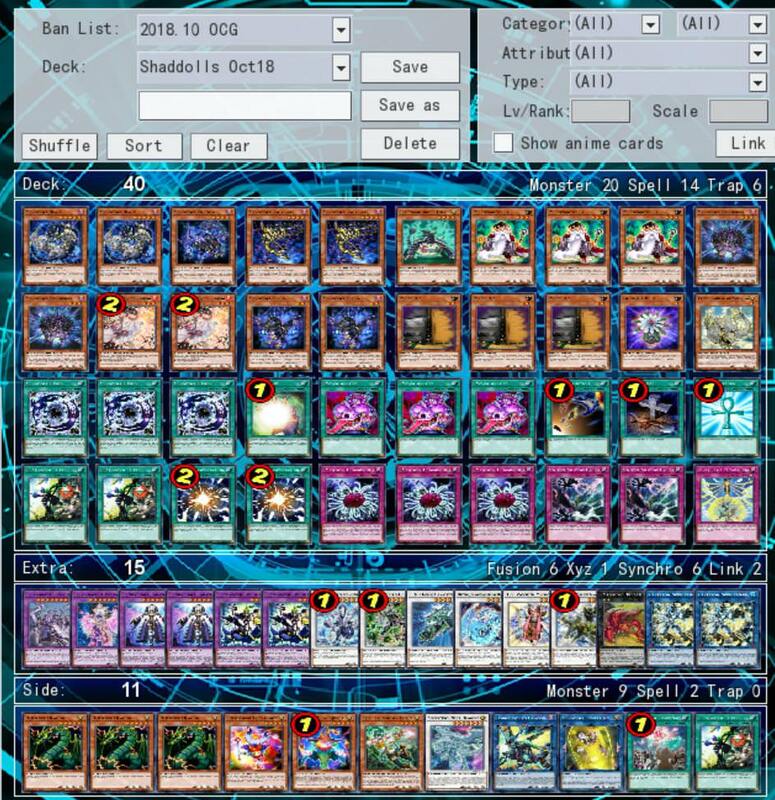 Which gets us to the working model I'm currently on, this has the best results so far, Hertz can search/cycle CYDRA, cydra can remove annoying ED monsters and tribute summon over Iblee if needed. It's a searchable light (clowns), and discard fodder (Thunder Dragon). It stops sky strike floating too. Overall pretty happy with it. 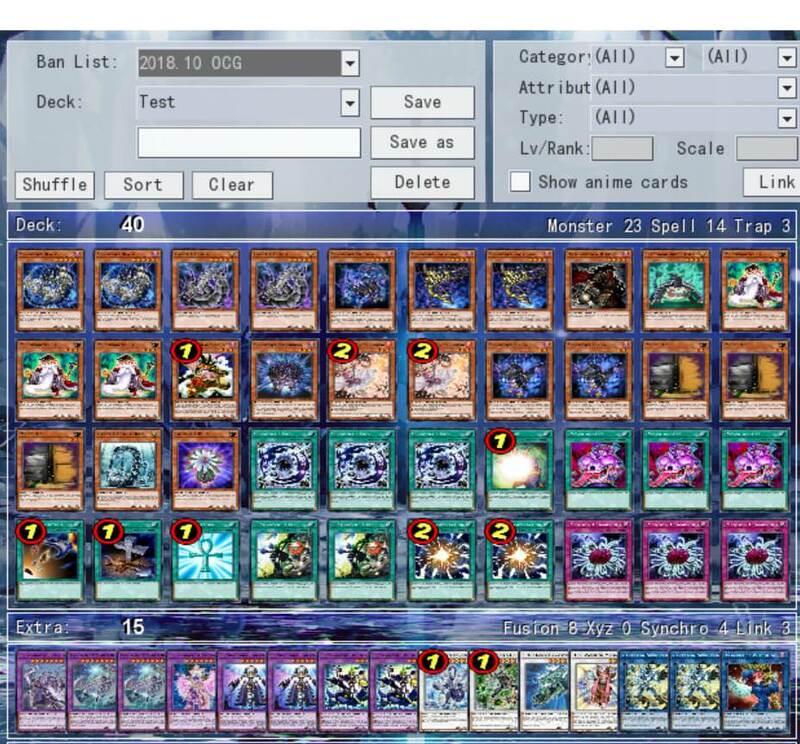 Just fill in with an Invoked engine, IMO. 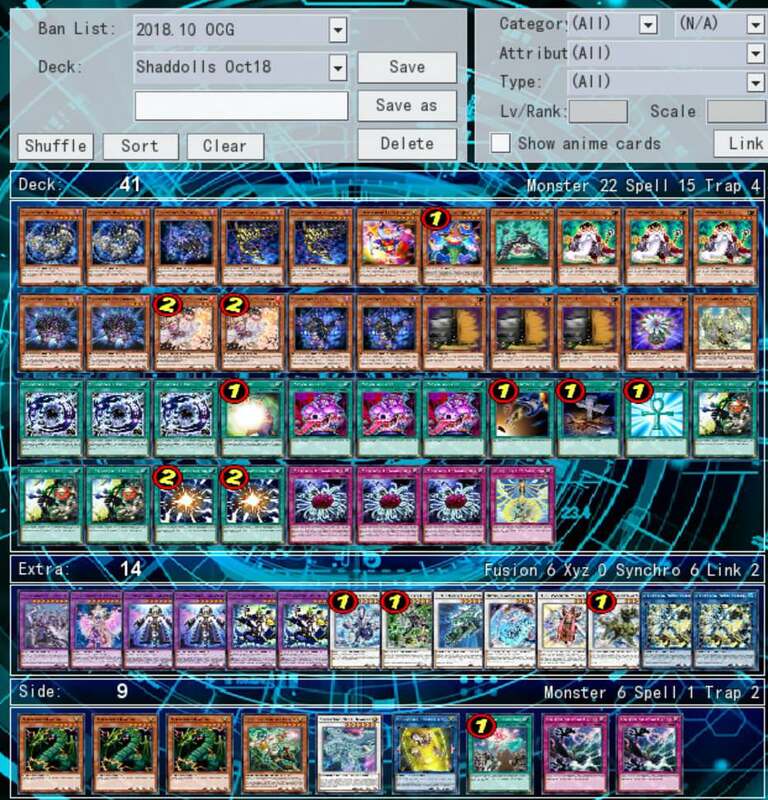 x2 Invokation, x1+ Aleister could do the trick. By the way, no Called by the Grave to stop attempts of Ash Blossom on regular Shaddoll Fusion? Only 1 Invoker? 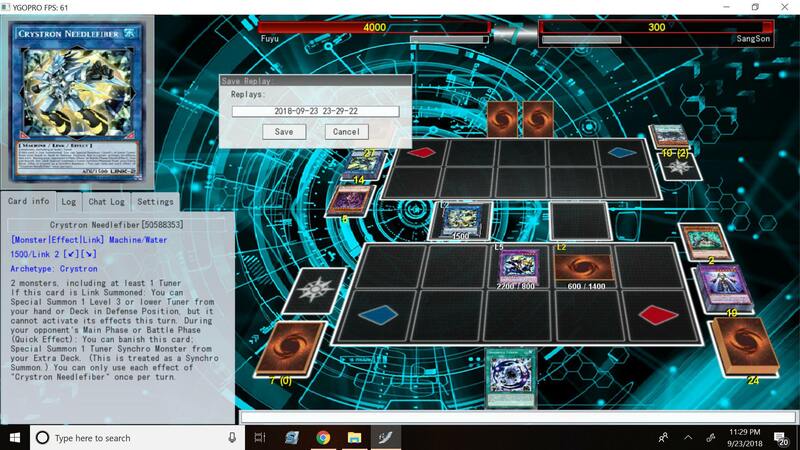 How many of the field spell? 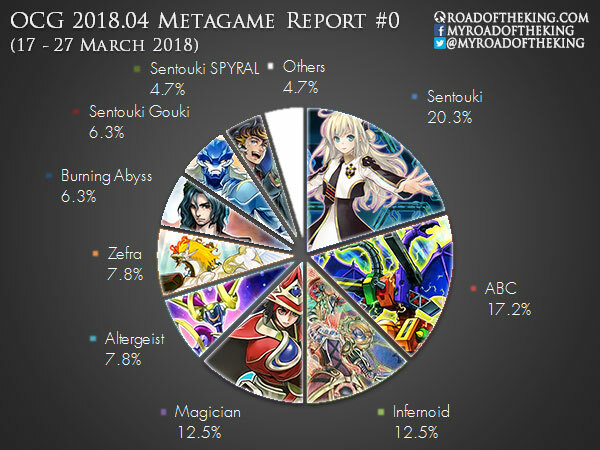 Was just a guess since you don't have much space left after the banlist. Run more if you don't mind going over 40 cards. Although personally I would give priority to Called by Grave. 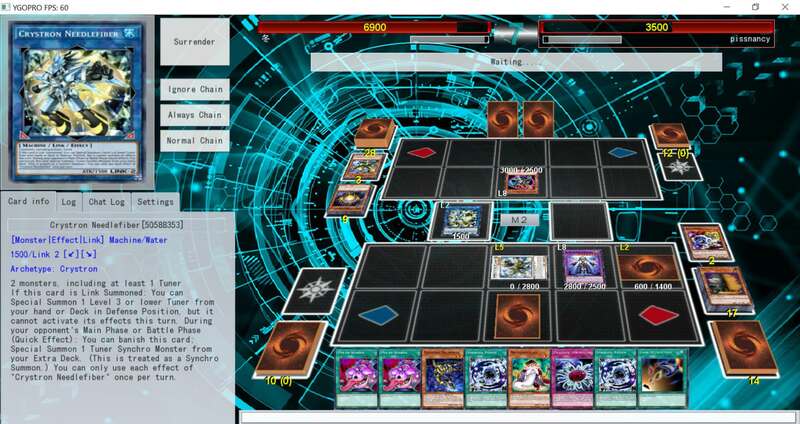 It also stops Maxx Cs roaming in OCG. 3rd Construct is not vital, would run with space though. Same with Unicorn or Borrel Sword.